Turn Heimskr into a Girl, with Full Voice! 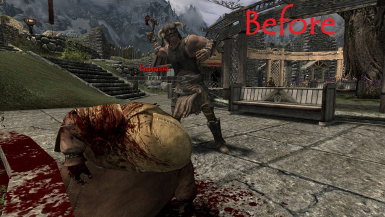 This mod will transform Heimskr into a beautiful young woman. 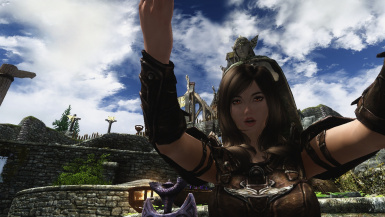 She is custom voiced, and now she preaches about gender equality instead.This mod is based on YuiH’s Emily follower, but instead of adding a new follower, it changes the appearance of Heimskr to be that of Emily’s. 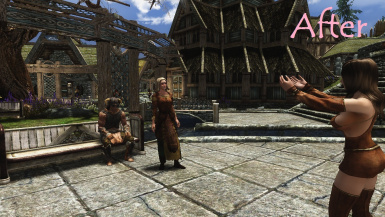 She can be found in Whiterun preaching, but might also be in the Whiterun jail or barracks depending on your progress through the main quest. Additional, there are now two optional update files that both try to improve the audio and increase the volume by approximately 3.5 and 7.5 decibels. Thanks to Skylaskyrim for the video! My female Heimskr does not look like yours? Female Heimskr is not wearing new clothes, or something similar? This means hymskrs new inventory has not been loaded by yoursave yet. Try going to an interior cell and waiting in game for 3 days. Heimskr is replaced but not preaching? Heimskyr is not using new dialogue,or I see text but no voice? Thanks to Emma for providing the voice, and the inspiration to create this mod.